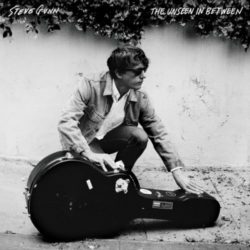 For over a decade, Steve Gunn has been one of American music’s most pivotal figures — conjuring immersive and psychedelic sonic landscapes both live and on record, releasing revered solo albums ranking high on in-the-know end of year lists, alongside exploratory collaborations with artists as diverse as Mike Cooper, Kurt Vile, and Michael Chapman (whose most recent studio album he produced). Gunn is known for telling other people’s stories, but on his breakthrough fourth album, The Unseen In Between, he explores his own emotional landscapes with his most complex, fully realized songs to date. The lyrics evoke voyages, tempests (actual and emotional), and a rich cast of characters met along the way — the work of an artist finding a place of calm in the midst of a storm. Produced by frequent collaborator James Elkington and engineered by Daniel Schlett, the immaculately recorded Unseen forces a reassessment of Gunn’s standing in the pantheon of the era’s great songwriters. Getting to The Unseen In Between itself was not easy for Gunn. In the summer of 2016, Gunn released Eyes On The Lines, his winning and elliptical debut for Matador. It should have been a triumphant moment, but exactly two weeks later, Gunn’s father and namesake died following a two-year struggle with cancer. During his sickness, he and his son had connected as never before, listening to one another’s experiences and understanding one another’s perspectives; they became not father and son but real friends.